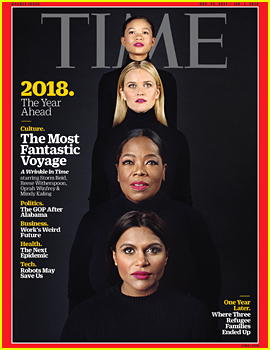 Aside from #TimesUp, there seems to be another movement started, Oprah for President. Other people over time, even dating back to 2015 have asked Oprah if she would win, reporters from Bloomberg and her friend Gayle King. Both answers were in the negative. But the world is a lot different now than in 2015. After the Globes, long-time beau Stedman said to journalist Graham of the LA Times, "It's up to the people.. She would absolutely do it." But then later, when the divine Ms. O was asked if she had any plans to do so, she responded, "I don't". However, depending on what source you are reading, it seems the door is left open. Her friend Gayle King recently said that she is "intrigued by the idea" but "not considering it at this time." A presidential run notwithstanding, this amazing woman/entrepreneur/philanthropist gave a powerful and moving speech, and keep in mind she was the first woman of color to ever receive this. 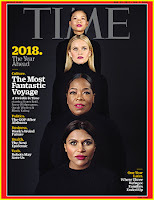 Whether or not she entertains the possibility of running, the speech stands alone for what it means, and the award stands on its own merits for recognizing this woman who grew up poor and abused in the middle of the country and built an empire while at the same time building schools in Africa. Can you tell I just love her? You May Like: What is Time's Up? In my career, what I've always tried my best to do, whether on television or through film, is to say something about how men and women really behave. To say how we experience shame, how we love and how we rage, how we fail, how we retreat, persevere and how we overcome. I've interviewed and portrayed people who've withstood some of the ugliest things life can throw at you, but the one quality all of them seem to share is an ability to maintain hope for a brighter morning, even during our darkest nights. So I wanted all the girls watching here now, to know that a new day is on the horizon! And when that new day finally dawns, it will be because of a lot of magnificent women, many of whom are right here in this room tonight, and some pretty phenomenal men, fighting hard to make sure that they become the leaders who take us to the time when nobody ever has to say "me too" again. Oprah has a lot more work to do in this world. Let's see what the future brings.